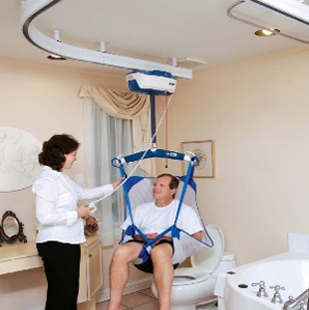 Westside Medical Supply offers dependable Home Modifications Services to individuals in need of safer access to areas inside and outside of the home. The list below is a generalized depiction of modifications we offer and is not limited to these services listed. 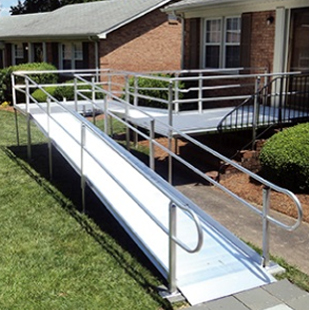 For more options, please check our Accessibility Solutions page here or contact us today! 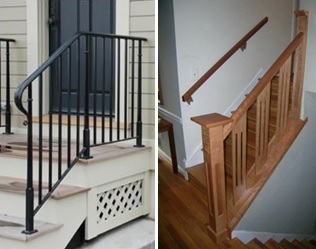 A simple stair railing can make a world of difference! 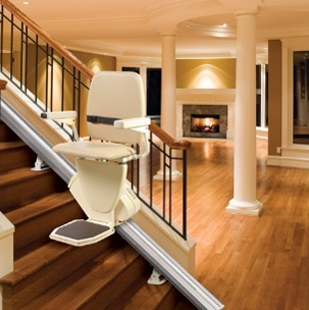 Encourage mobility to areas previously avoided by decreasing risk. 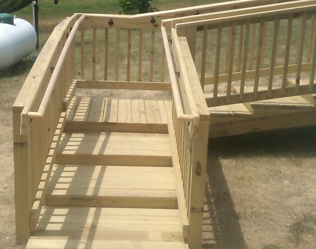 Outdoor & Indoor railings available. When it comes to staying in the home you know and love, prevention is key! 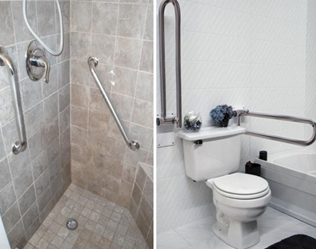 Grab bar installs around the house are a great way to begin fall-proofing your home. 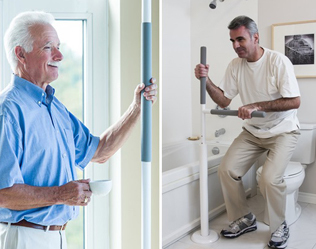 Security Poles provide strong and stable assistance to individuals when standing up or sitting down. These poles are height adjustable and have a higher weight capacity than most alternative options. 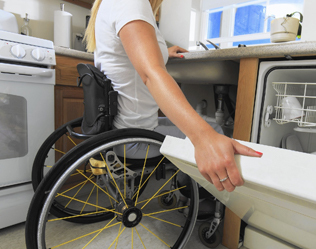 Half Step modifications are ideal for individuals who maintain the ability to ambulate but the height of their steps are slightly too difficult to manage. 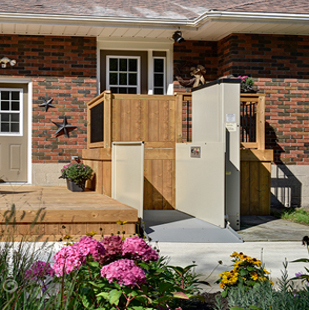 Need a doorway widened for wheelchair access? Perhaps a toilet moved for safer shower entry? We can do it all! Our team is happy to assist you with ideas by providing a free in-home assessment or you can email us pictures for a quick response!